How exciting has the Rio 2016 Olympics been? 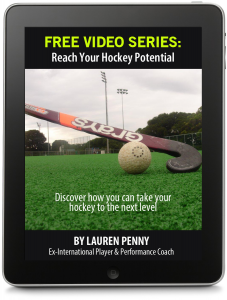 Field hockey got so much attention at the Games, but unfortunately many people weren’t able to watch as many games as they would’ve liked because of the time differences. There were so many magical moments that I want to highlight but I couldn’t possibly mention them all, so here are just a few of my favourite moments from the Games. #1 – New Olympic Champions! Both Germany (men) and Netherlands (women) were going for their third consecutive Olympic Gold medal respectively. But 2016 saw two new Olympic champions. The men’s Argentina team and women’s GB’s team are both currently ranked 7th in the world but that didn’t stop either of them from winning gold. 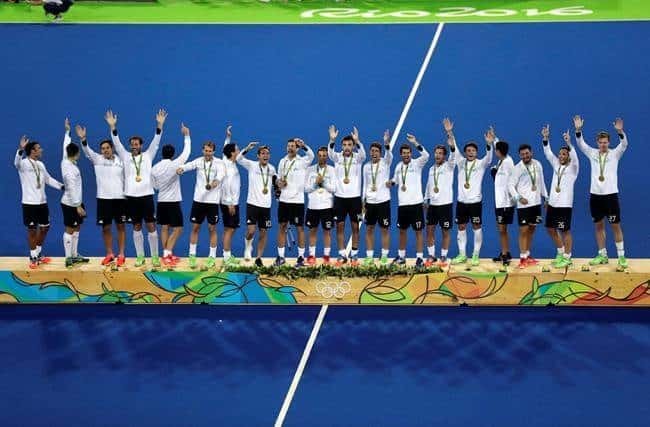 This is the first ever medal for the men’s Argentina team in Olympic hockey history and GB women’s first ever Gold medal for hockey at the Olympic Games. Both GB and Netherlands women were undefeated until the final. Even the 60 minute game ended 3-3 which led to the nail biting shootout to decide who will win gold. After 4 shoot-outs GB were 1-0 up after some outstanding goalkeeping from both GB’s Maddie Hinch and Netherlands Joyce Sombroek. It was only Helen Richardson’s penalty stroke goal which was awarded from Sophie Bray’s shootout that separated the teams. With only one shootout left, GB would win a gold medal if they scored the next one. GB’s Holly Webb stepped up and scored the shootout goal which led GB to victory. NZ were leading 2-0 with 11 minutes left in the game. With 6 mins 20 secs left on the clock Germany took off their keeper handing the “kicking back” jersey to Martin Haner. Germany scored a penalty corner 4 and half minutes before the end of the game. 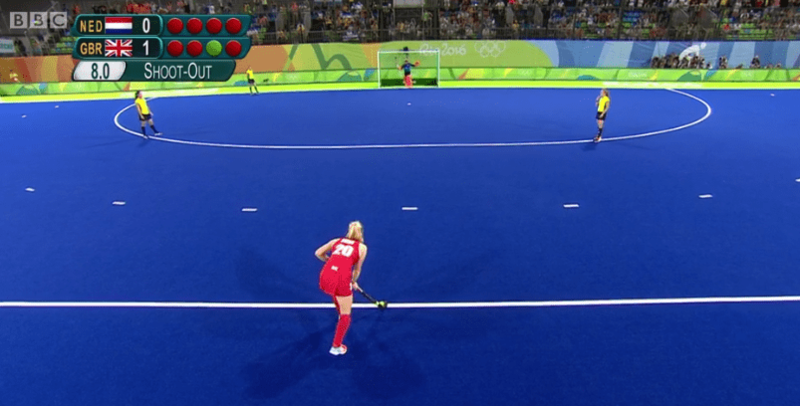 After some debate between umpires, Germany were then awarded another penalty corner with just 48 secs on the clock which Moritz Furste converted. Score was 2-2. 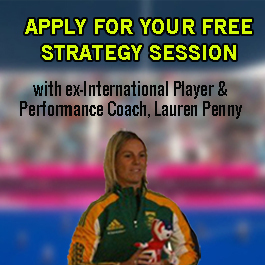 In dramatic fashion Germany scored with just 1.5 secs left on the clock putting them through to the semi final. The dramatic semi final match between Germany and Netherlands women ended in a 1-1 draw, the decider going down to shoot-outs. In the shoot-outs both teams were 2-2 after 5 shootouts going into sudden death. The German captain then stepped up and scored from a tight angle (see image below of her diving) after Joyce Sombroek made the initial save. Willemijn Bos for Netherlands then scored the next shootout goal after Reynolds lost sight of the ball from her initial save. 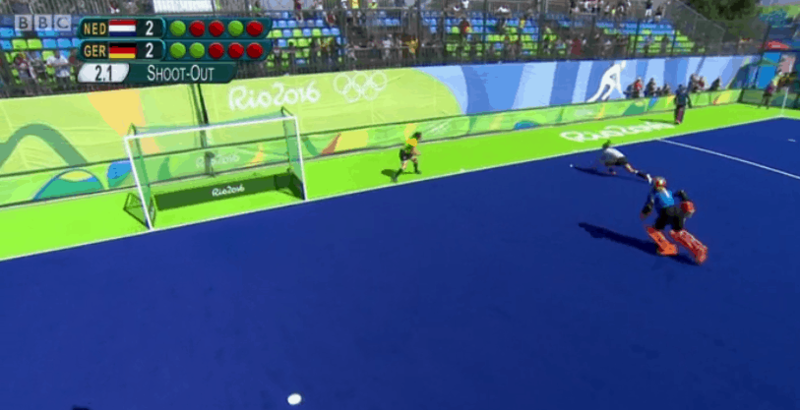 The Dutch keeper (Sombroek) then made a crucial save from Mavers (who scored in her first shoot-out attempt). This opened up an opportunity for Ellen Hoog to close out the win, which she did in style with her trademark tomahawk shot, putting the dutch into the final. 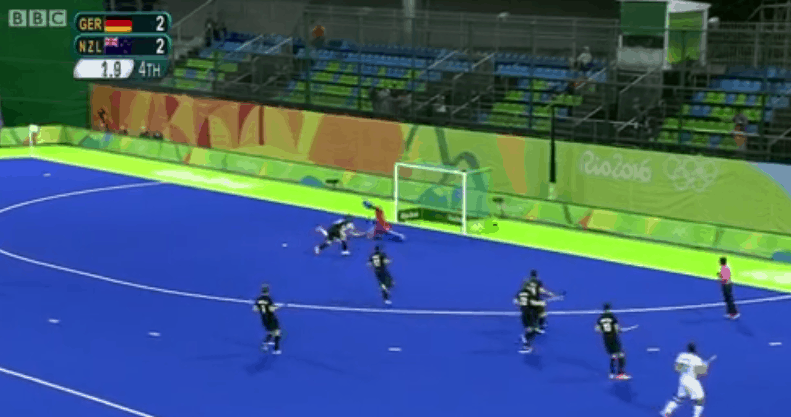 The men’s bronze medal match between Germany vs Netherlands ended 1-1 and once again was decided by a shootout. The German men showed exceptional finishing scoring 4 from 4 taking them onto the podium for a Bronze medal. The USA women’s team became a huge talking point of the tournament, beating both Argentina (ranked 2nd) and Australia (ranked 3rd), both coming as unexpected upsets. In the group stages they narrowly lost to GB 2-1 which left them finishing second in the group. This mean’t they played Germany (who finished with a Bronze medal) as opposed to Spain (ranked 14th in the world) had they finished top of the group. 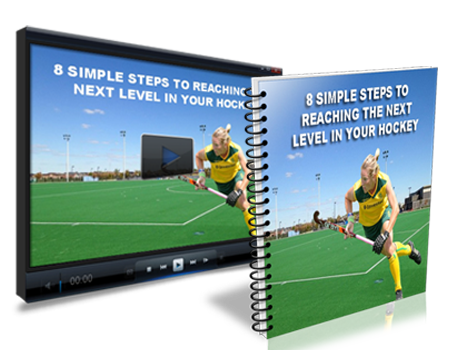 Despite not qualifying for a semi-final, they played some exciting and fast paced hockey finishing 5th at Rio, quite an improvement considering they finished last (12th) at the London 2012 Olympics. The Spain men’s team who are currently ranked 11th in the world did exceptionally well finishing second in the group stages. They beat Australia (ranked #1 in the world), New Zealand (ranked #8) and drew to Great Britain (ranked #4) and only narrowly losing 2-1 in the quarterfinals to the gold medalists Argentina. There are too many special moments to mention here but it was a great Olympic Games filled with a lot of special memories that will inspire many for years to come.